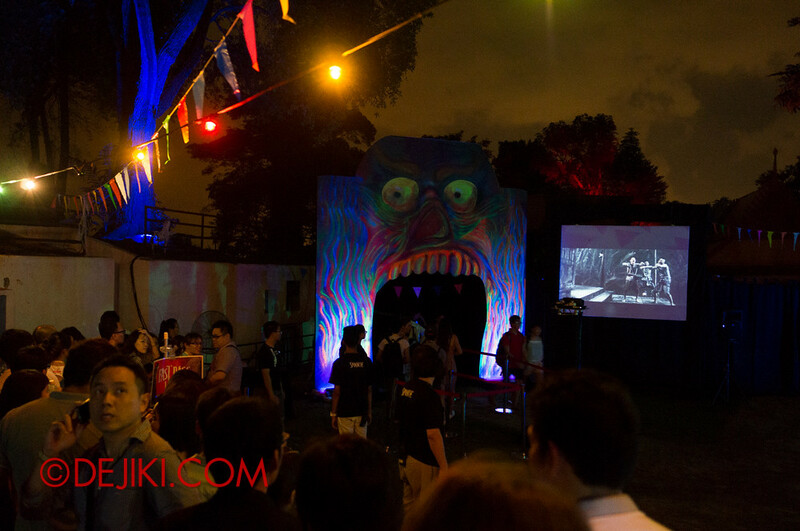 Thai horror films have come to life at Sentosa Spooktacular 2013. 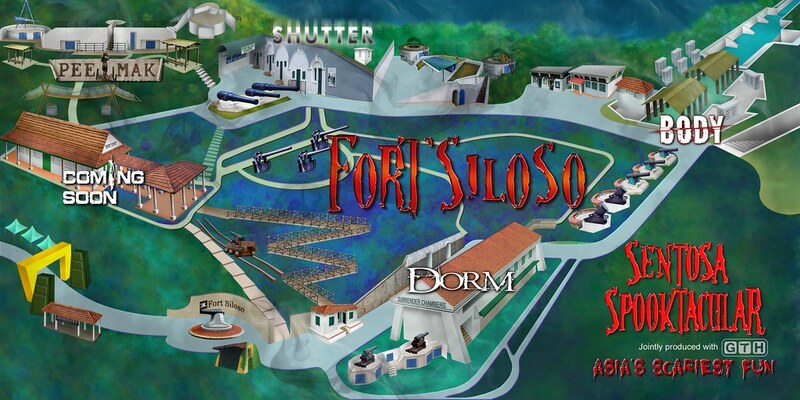 Five Haunted Trails, based on horror hits such as Coming Soon, Shutter, Body, Dorm and Pee Mak, await the brave and faint-hearted at the (supposedly haunted) Fort Siloso. Read this review and contemplate if you are strong enough to survive these nightmares. 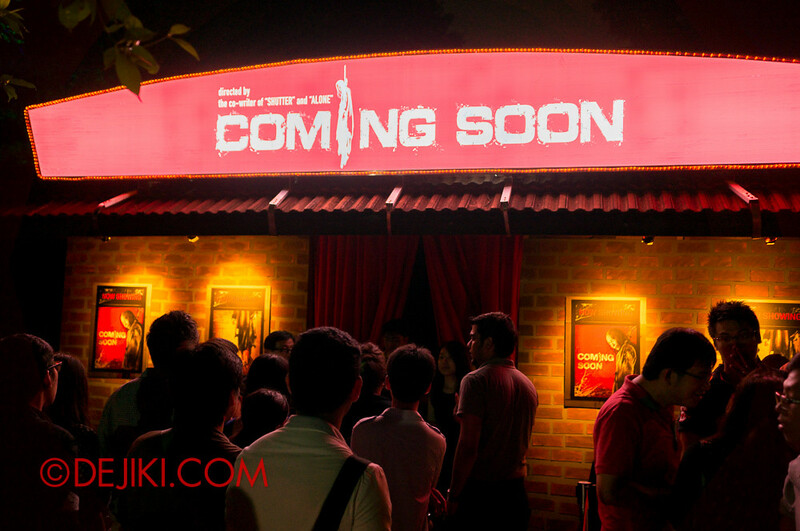 Thai horror films RETURN to SCARE! 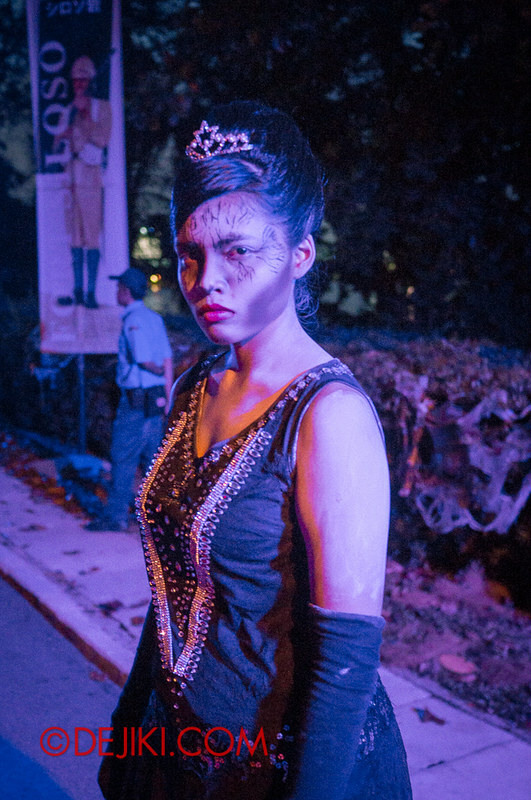 NEW TERRORS haunt Fort Siloso. 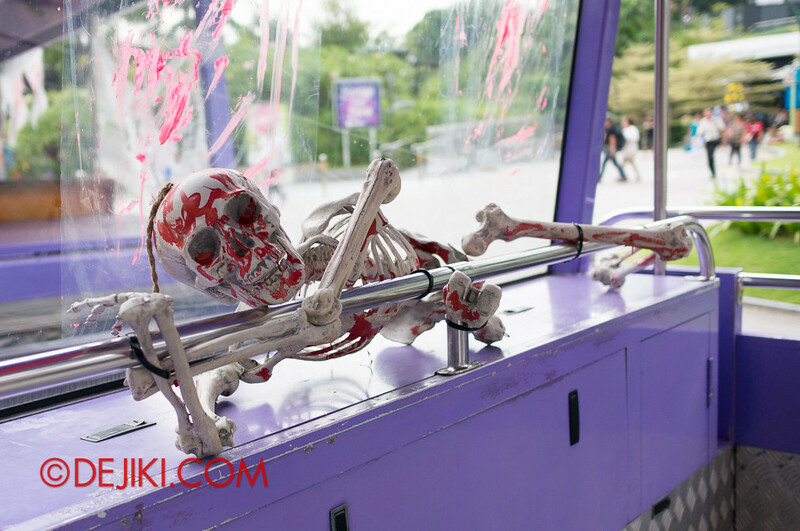 Read all about it in our full review of Sentosa Spooktacular 2014 here. 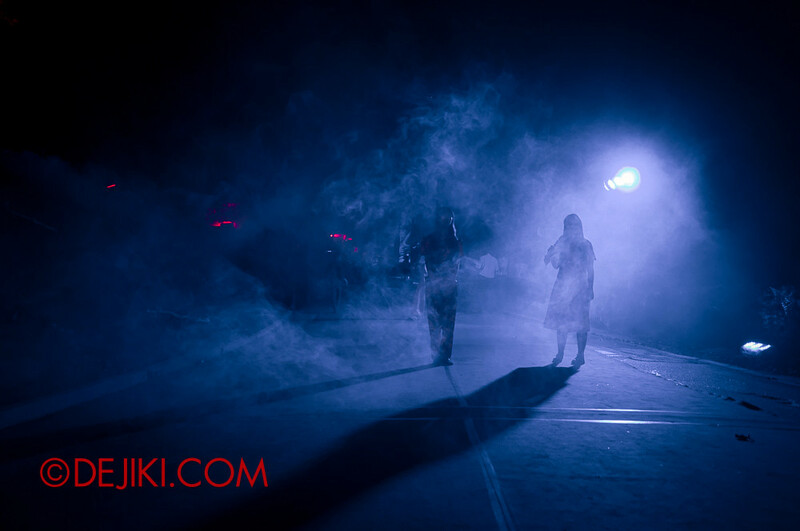 Billed as “Asia’s Scariest Fun”, the five Haunted Trails (the event organiser’s term for Haunted Houses) are in a few words, highly entertaining and exciting. The scares were effective and the use of darkness was well – very uncomfortable and tormenting. The lack of light teases you as you struggle to find your way out of each fright-filled trail. The “fun” aspect of this event would take place outside of the Haunted Trails – with interesting (and less scary) scare actors to interact and take photos with. While the production values (and expenses) can’t compare with Universal Studios Singapore’s Halloween Horror Nights 3, I found most of Spooktacular’s Haunted Trails much scarier than HHN3’s Haunted Houses. There’s no push to go “big” and match USS, so the emphasis appeared to be making the best with simple and effective concepts. Hence, the craft of scaring seems more refined in Spooktacular, focusing on creating very unsettling moments and well-triggered scares. 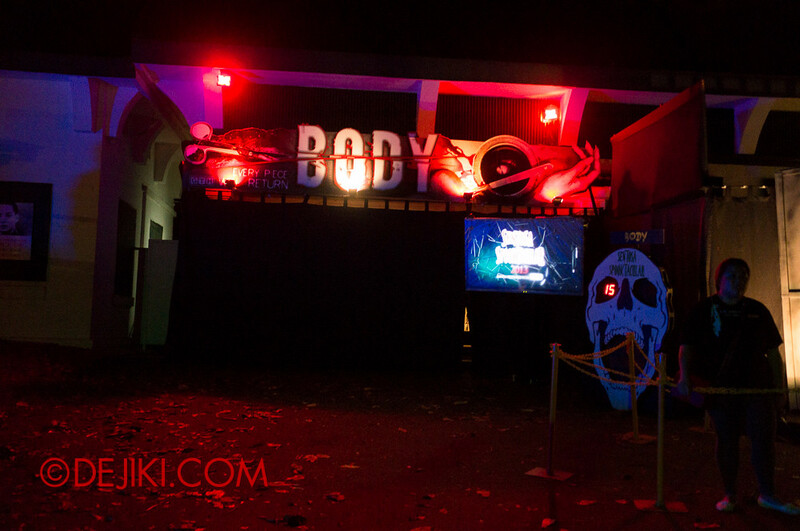 The entrance introduces Sentosa Spooktacular’s film-inspired haunts with a dramatic video montage and countdown. 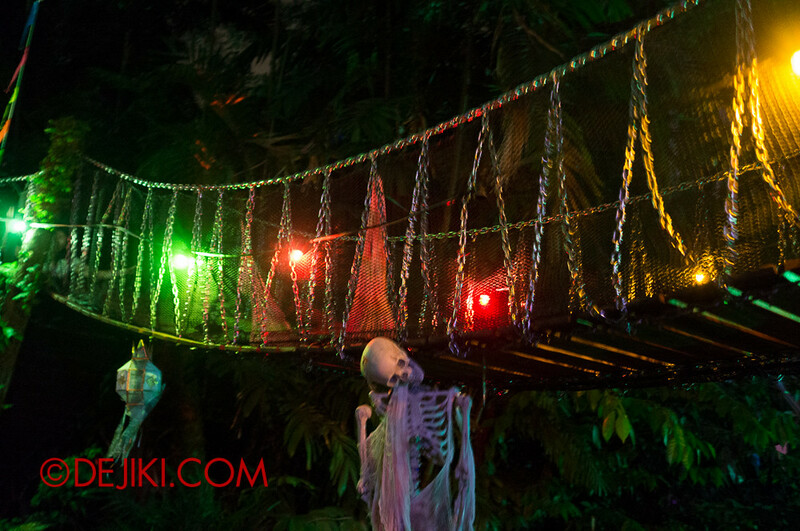 Apart from the design of Haunted Trails, there are many parts of Sentosa Spooktacular 2013 that I liked: The control of guests entering the trails. This ensures a very large gap between groups of guests in most Haunted Trails and I was so glad for the experience of being in the trail with no one in front of (and behind) my group. This made the wait time rather long, but each Haunted Trail had a teaser reel (explaining both the event and haunted trail) to watch while waiting. The crew at the start of each trail also gave a briefing on safety guidelines and introduced the story of the trails. These touches greatly boosted excitement and anticipation to enter the trails. No distracting lighting accessories (or any light sources, really) were allowed to be held and used inside the Haunted Trails, which kept the experience rather distressing at some areas. 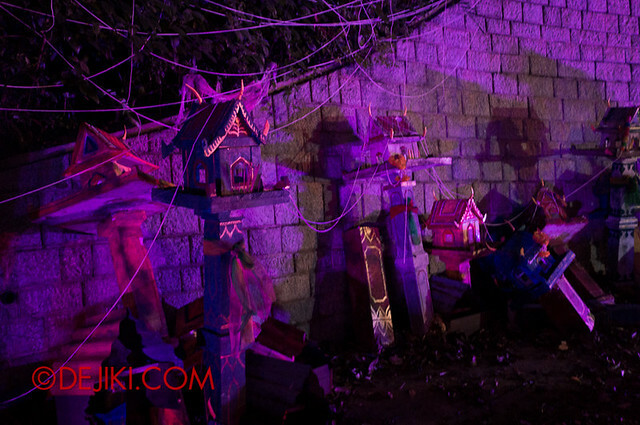 Some of the Haunted Trails had an interactive aspect. The producers call it a “mission”, but I would say it’s more of a task to make the experience memorable. At the creepy school corridors of Dorm, we had to chant to keep the vengeful spirits away. In Body, we had to quickly grab body parts (with our bare hands!) and put them together. In Pee Mak, we had to do the signature dance. 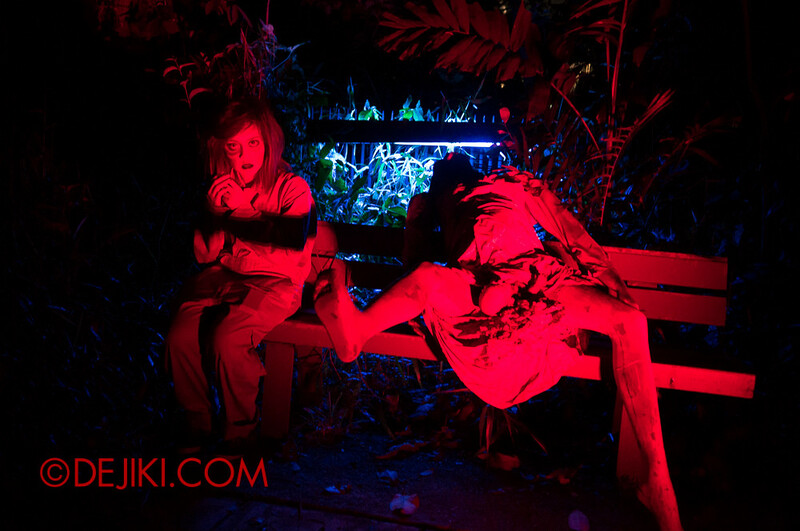 As a Haunt venue, Fort Siloso is amazingly suitable – it’s already creepy at night. 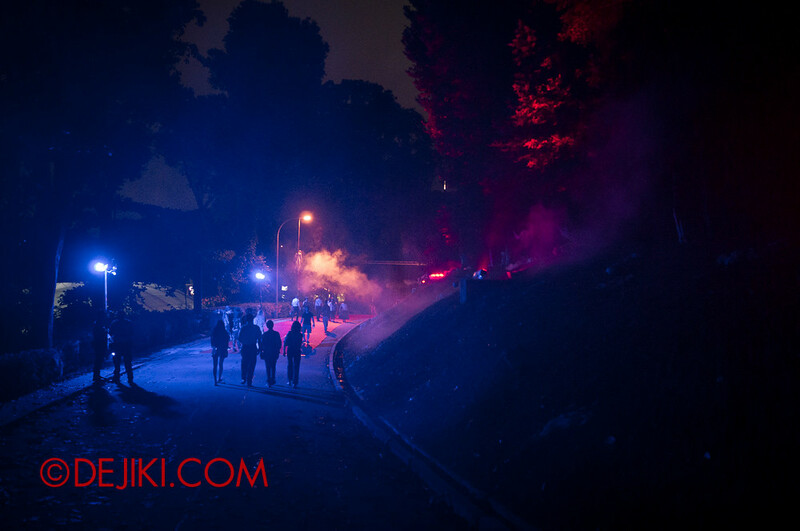 The addition of fog machines, props and show lighting greatly enhanced the creepy atmosphere (not to mention the trees swaying in the wind sometimes…) However, some of the roads and walking paths are uneven, has steps and obstructions that are hard to see. Some of the staircases are also very steep, so be careful and watch for your friends. If you have night blindness, please hold on to someone in the Haunted Trails. If I have to be critical… The haunt experience isn’t very consistent at some areas – roaming scare actors seemed random (apparently a Spooktacular trait) and there are some Haunted Trails that did not use the films’ signature elements to the fullest. Operations-wise, I observed the “Estimated Waiting Time” at each Haunted Trail isn’t accurate – in fact it is hardly an “estimate” – unless it is supposed to display the wait time for the Fast Pass line. In conclusion, I’ll say that the Haunted Trails at Sentosa Spooktacular were exhilarating to walk through and are indeed scary. I was pleasantly surprised to get a few shocks (something that hasn’t happened for a while now). Here are my short review of the five haunted trails visited during the launch event. The rating scale is consistent with my USS HHN3 review. Despite being a limited preview night, there were a lot of other invited guests and paying customers at Sentosa Spooktacular. Media attendees were also treated as regular guests. However, we were given access to the Fast Lane. I did take photos in some of the haunted trails, but decided not to include them because they either don’t show much (or showed too much) or are too disturbing to put up here. So discover the horrors yourself at the event, and good luck! 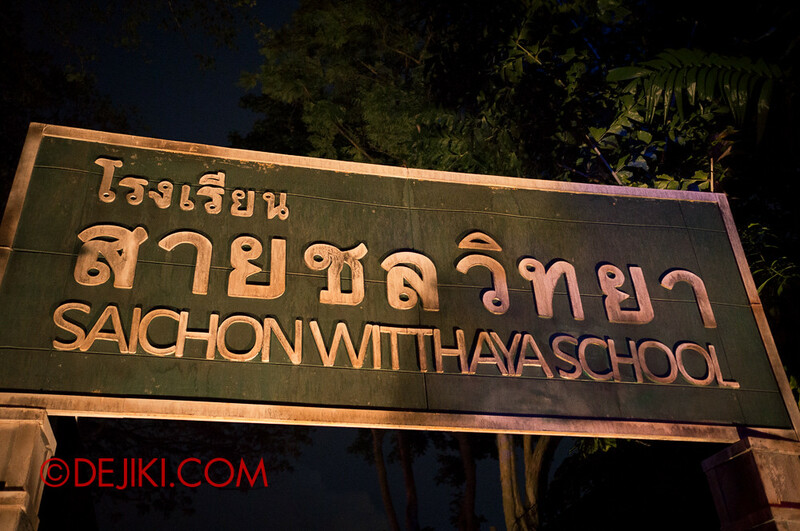 Set in the Saichon Witthaya School, Dorm starts off with a deranged classroom which led to a surreal scene of school boys sitting along the hill (with a deceptively chirpy song playing). The highlight of this Haunted Trail is the maze-like school corridors, in almost complete darkness. A (useless) flashlight was given to help you navigate through the maze, as well as a chant to sooth the haunting ghost of Wichien. If you are afraid of the dark – good luck surviving the corridors. There was a guest behind me who was so terrified that she started hyperventilating and even held on to my arm while walking! If you have a fear of random body parts, medical instruments, doctors and nurses, Body would be memorable. This felt like the longest Haunted Trail, weaving through a few tunnels. There is a long, up-hill climb in one of them (filled with hanging body parts) which led to more unsettling scenes. Dark corridors and tunnels kept me on my toes throughout the experience. There were scare actors at all directions, including two at a tower – be sure to stay around and wait for a surprise. At the finale, guests have to assemble body parts together in order to escape the trail. There are consequences for not completing on time (or for any attempt). I’ll leave you to find out on your own. The Shutter trail was very disturbing, with the soundtrack being scary on its own. You will walk through a gallery of grotesque photos and end up in Tun’s (the main lead in the film) photo lab. There is a particular scene, which I really shouldn’t spoil here, that is just… wow. Makes you think about the term “trigger happy”. Based on an apparently true story, the Pee Mak trail brings you around the village surrounding Nak’s House. What I liked about this trail is that the path leading towards it is themed. 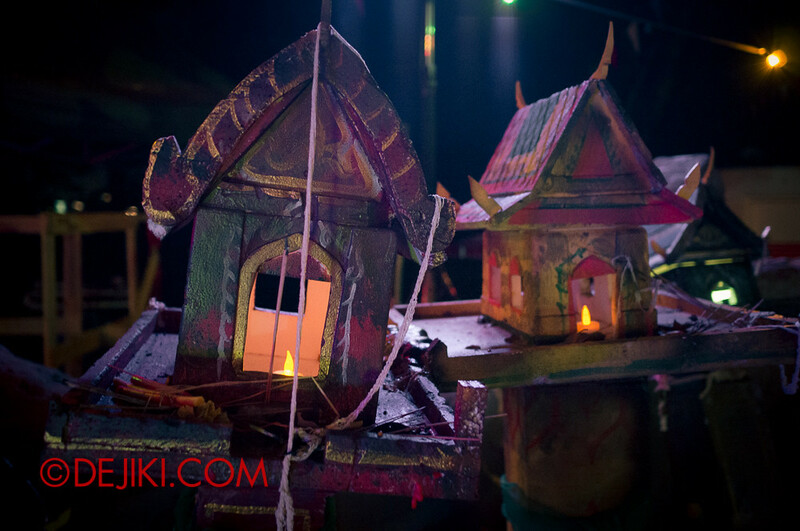 There are large props (including a very tall one, which I won’t spoil here) all over the area, along with villagers that will interact with guests and even do the Pee Mak dance. Pee Mak was a little disappointing because it was short and focused too much on the Pee Mak dance. The only scary moments, if any, lasted mere seconds. To end the night at Spooktacular with a high, Coming Soon pushes victims into Chaba’s nightmarish world. 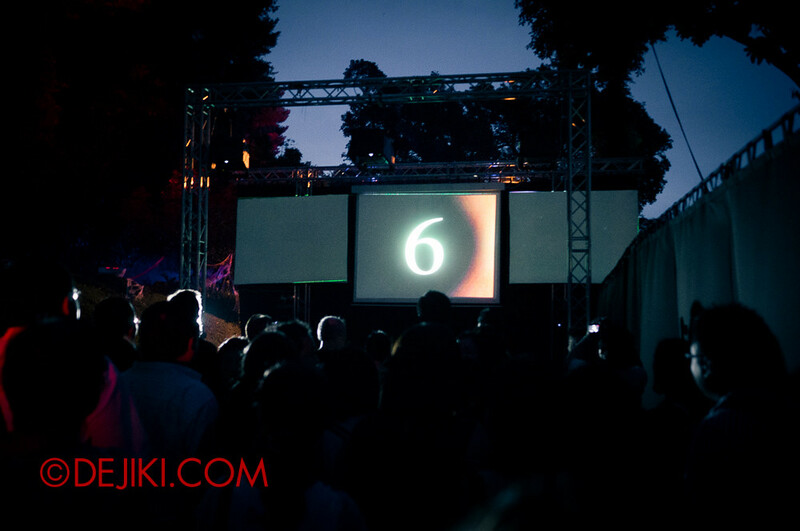 The experience starts off in a mini screening of the film and then, you know – it begins. A word of warning: She appears everywhere. The second half was so scary that the group in front of us stalled. They decided to wait for more people to walk on together. Notable Information, Tips and More. Due to the layout of Fort Siloso, the Haunted Trails are placed in such a way that they are best completed in this order. You will be walking up and around the hill, and only descending the Fort for the final trail. Therefore, if you are not getting a Fast Pass, you should try to clear the Haunted Trails, in this order, as fast as you can. Going out of this order (or in reverse), especially in the event’s early hours, will definitely avoid the queues and save time, but it will involve a lot of backtracking. Due to the strict control of guests in each haunted trail, the guest capacity per hour for each trail is very very low. Hence, long wait times are to be expected especially if you arrive late. Given the short event hours, it’ll be a pinch to complete all 5 Haunted Trails. I don’t like to suggest spending more money – but be prepared to splurge on the Fast Pass if you get tired of waiting or feel that you won’t have enough time to complete all 5 trails. The average wait on Fast Pass line was about 20-25 minutes for the preview night. 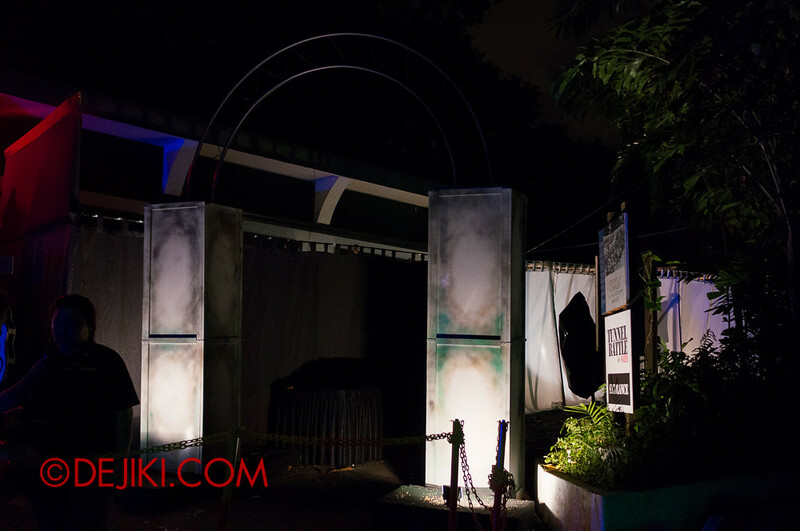 As there is a pre-show at the first area of Sentosa Spooktacular, a line will form at the entrance and guests will only be allowed to enter the screening area in batches. To buy refreshments and souvenirs. Bottled drinks are priced at $3 each. As for photographs, it’s $15 a print, or $30 for three prints. Very important, as the queues are all outdoors, and some haunted trails have outdoor sections. The event starts at 7pm, but I would suggest being at the entrance way before (6:30pm at least) to queue and wait for the event to start. This way, you can get to Dorm early and get the nightmares rolling. You can get to Fort Siloso via the Beach Tram or Sentosa Buses (Bus 1). Basically you just need to take a service to Siloso Point (where Underwater World and Fort Siloso is) and have a short walk to Fort Siloso. A special “Ghost Rider” bus and tram will be available, but according to the event staff I’ve spoken to, the service may start only at 7pm. The Ghost Rider Bus will have a direct service from Fort Siloso to Vivocity between 9PM – 11:30PM. 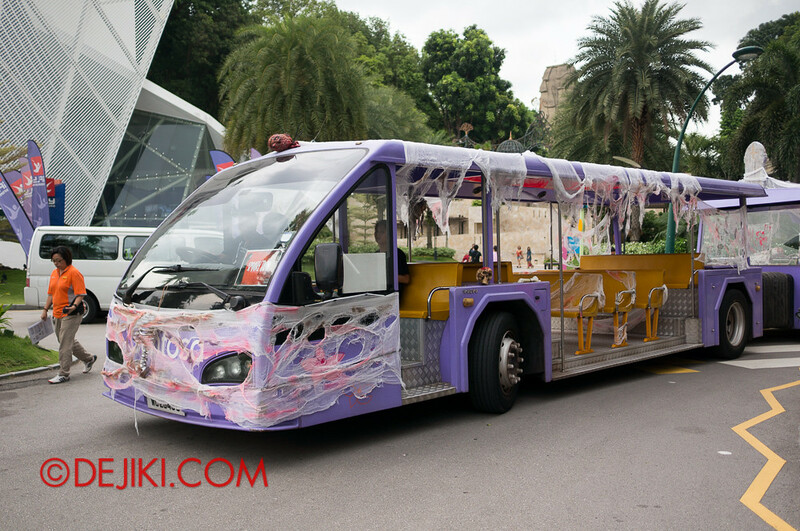 There are also other bus services from the Siloso Point bus stop to bring you around Sentosa. Sentosa Bus 2 will bring you back to the Beach Station. 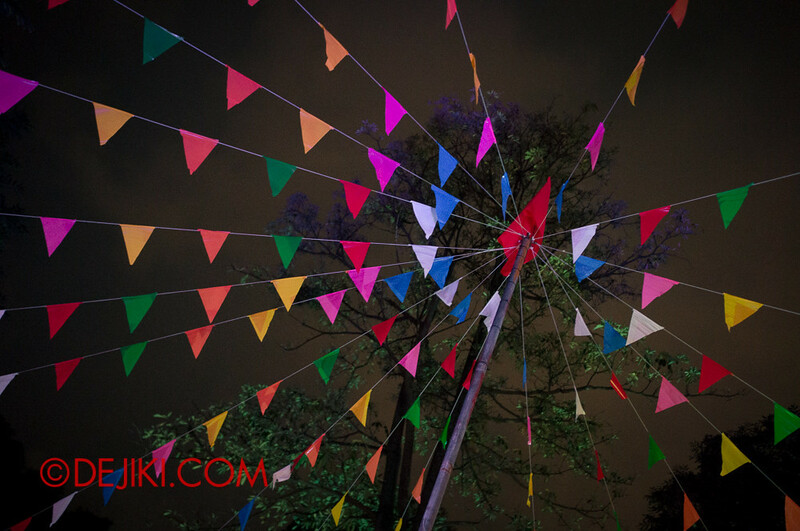 Find out more about Sentosa Spooktacular 2013, including event hours and ticketing here. Wow coming soon is really scary huh? Thanks for the review glad its more scarier than USS. 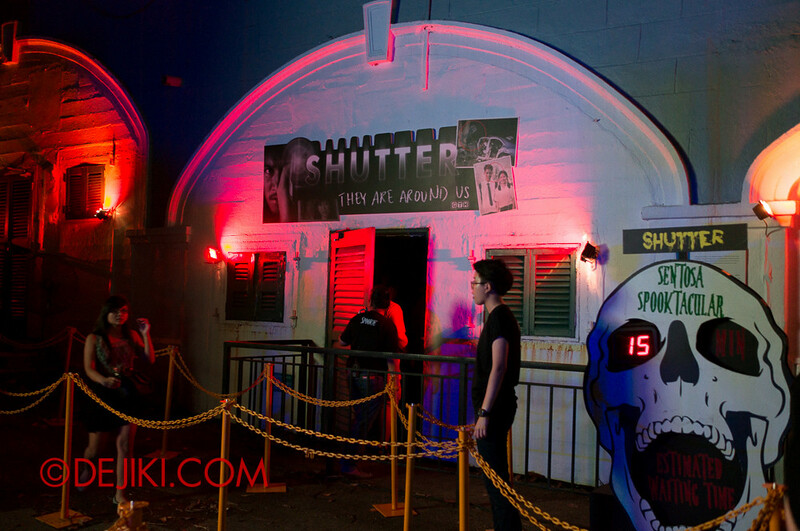 Is sentosa haunted houses scarier than HHN? N is the layout of the house similar to HHN, small n sometime hve 2 walk in single file? Yest I’ve been to HHN, whenever I’m inside each of the house, I’ll wish how come nt ending yet.. Is already scary at HHN, dunno can I survive sentosa spooktactular.. N at HHN I always wish there r behind n in front of mi, especially in front of mi so that I could know wat happening in front n b prepared.. Now after yr review I feel like chicken out from sentosa spooktactular..I’m gg on 2 nov, nt sure any more crowd dun wan ended up me n my frz or only a few ppl inside.. which means no ppl in front of mi for mi 2 follow… OMG!! Instead i prefer scare zone than haunted house.. hehe..Any advise? 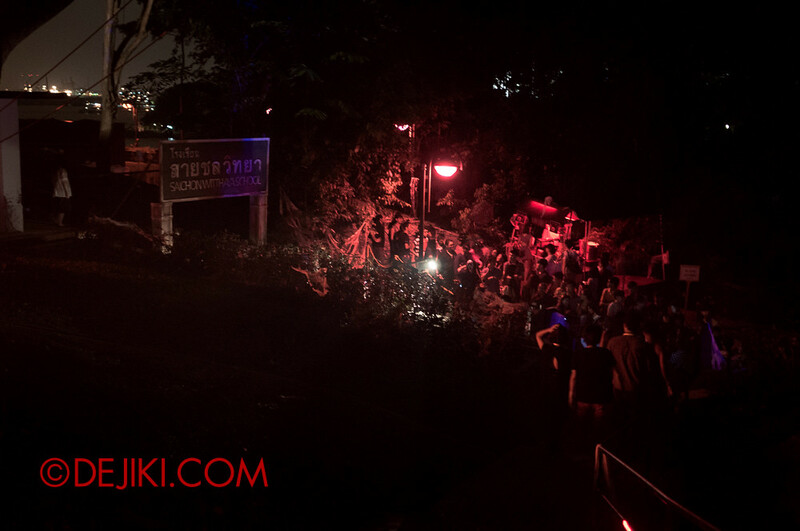 Personally I felt that Spooktacular is scarier because of the venue (real tunnels, buildings and the jungle of Fort Siloso) and effective use of darkness. The Haunted Trails have both narrow and open areas, but generally it felt more spacious than HHN. As Spooktacular is very popular (and 80% of the tickets are already sold), I don’t think you will be going through the Haunted Trails with just your friends. They will form small groups (5~10 people, depending on the trail). So just ask the other people in your group stay in front and behind you if you’re scared. Thanks 4 yr advise.. I do agree that fort siloso itself is scary.. Glad 2 hear is popular.. N tat it will not b like there’s no ppl in the trail with me.. Really appreciate these reviews you have created.. I also gotten guide tips about HHN from you..